Coldwell Banker St. Kitts Nevis Realty (formerly Oualie Realty) has been a driving force in the real estate industry in St. Kitts and Nevis for more than 20 years. Our long history of dedicated customer service keeps our clients returning and has them referring their friends and family. Our wealth of experience and quality of service are among the best in the business. 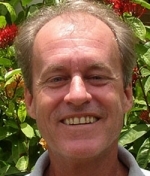 John Yearwood is co-owner of Coldwell Banker St. Kitts Nevis Realty. Read about the Yearwood family to understand why they are the only real estate company to use for property purchase on the islands. 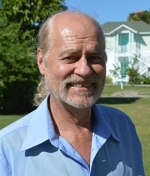 More Info for John>> Alastair Yearwood is co-owner of Coldwell Banker St. Kitts Nevis Realty. Read about the Yearwood family to understand why they are the only real estate company to use for property purchase on the islands. John and Alastair also proudly own the well known Oualie Beach Resort Hotel, a 32 room beach resort and land development company for the islands, Charlestown Properties Ltd.
Nevis Real Estate and St. Kitts Property for sale from the respected Agent and Broker for Coldwell Banker real estate listings in Nevis St. Kitts. Property for sale includes villas, new homes for sale, resale homes, condos and commercial property. Select a Nevis beachfront private villa or St. Kitts Vacations and let our staff find you the perfect vacation rental villa in Nevis or St. Kitts. The Citizenship by Investment program for St Kitts and Nevis is also available through your Coldwell Banker Agent. Coldwell Banker St Kitts and Nevis Realty | Copyright © 2019 All Rights Reserved.